The government’s focus on boosting the farming sector will have wide benefits for India’s broader economy, business leaders say, after a slew of announcements made in this year’s union budget to support agriculture. In the budget presented to parliament last week, measures put forward by finance minister Arun Jaitley for farmers include liberalising agricultural exports and ensuring farmers get higher prices for crops. With about half of India’s population dependent on agriculture and the majority of the country residing in rural areas, corporate heads say such steps will ultimately benefit other industries. “The measures announced…to benefit the farmer community and boost the agriculture sector will be instrumental in maximising farmers’ incomes while reducing waste and inefficiencies that contribute to inflation,” said Albinder Dhindsa, the co-founder and chief executive of Grofers, a low-cost online supermarket in India. 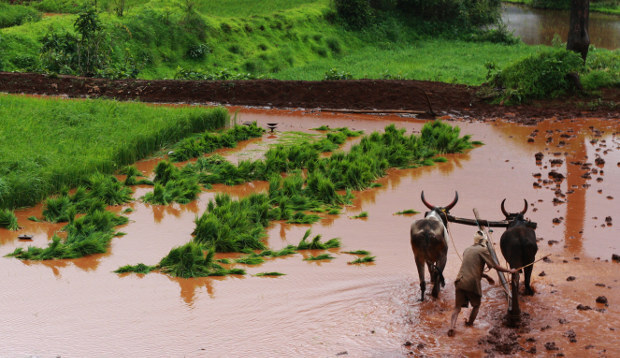 India’s farming sector has struggled in recent years because of poor monsoon rainfall, which has led to weak crops. In the longer term, boosting the rural economy will help generate greater consumer demand from those areas, thereby creating potential to cater to a larger number of customers, according to companies. “The budget addresses rural and farm distress in a targeted manner by pinpointing root causes and providing solutions to the problems faced,” says Rajiv Shastri, the executive director and chief executive of Essel Mutual Funds. But others point there is still work to be done before India reaps the rewards of the announcements made in the budget.